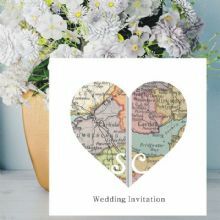 A personalised wedding gift is a lovely way of showing the happy couple how much they mean to you. 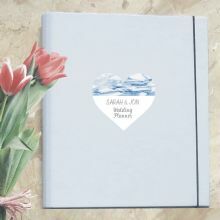 Our gifts all include the names of the bride and groom, the date of their wedding, or both and the result is a meaningful keepsake that will serve as a reminder of their special day. Our bespoke wedding day cufflinks are popular for members of the wedding party and include map cufflinks, tax disc cufflinks and photo cufflinks. 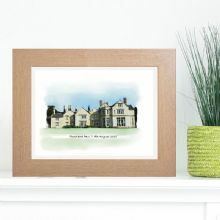 If you are looking for a special gift then our bespoke wedding venue portraits are a perfect idea. 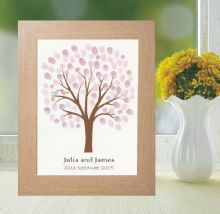 Our wedding fingerprint trees are also a popular alternative the guest book.